Wouldn’t it be great if you knew the best Torrent Client on Reddit that supports Windows, Mac, and Linux Operating Systems? There are lots of resources on the net for downloading Open source software that is free for share and use, as well streaming Videos, Music, and other files you may have a need for. Where exactly to download these files because some will either not have the content you're looking for, offer low-quality content or even illegal content that is not free for use. That being so, knowing the best free torrent clients in 2018 that offer faster and secure downloads can be very helpful, and that is why we have compiled a list based on Reddit user reviews on the Best Free Torrent Clients. Since these BitTorrent Clients have high ratings on this reputable Social Bookmarking site, you are bound to get the best out there. Torrent Known as BitTorrent is a way of downloading files using a peer-to-peer file sharing protocol, called BitTorrent Client. This BitTorrent Client is a Computer program that uses the BitTorrent Protocol to enable connected peers to upload and download Games, Apps, Software, Songs, Movies, etc.. 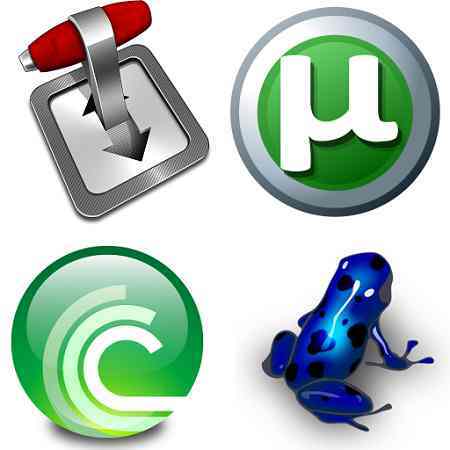 Files such as Open source software, Free-ware, Adware, and Shareware can be found on some of these BitTorrent Programs. Examples of BitTorrent Programs Include BitTornado, BitLord, BitComet, FlashGet, Folx, OneSwarm, Shareaza, Transmission BitTorrent client etc. and they support Android, iOs, Windows, Mac, Linux, and BSD Operating Systems. A BitTorrent Client implements a BitTorrent Protocol to aid sharing over a network. BitTorrents are very fast in downloading because large Videos, Movies, TV Shows, Apps, Audiobooks, and Ebooks can be shared in bits even before they have been fully downloaded. This way, data can be shared in bits between users without corrupting the said file. Are Torrent Clients Legal and Safe? Some Torrent sites usually offer open source software for download and Streaming, and this is content that is free for use and share. They obtain licenses from Hollywood studios to offer their movies for download, and some record labels offer their albums for free download. There are some that have copyrighted content for download, and in rare cases, it may lead to legal charges. The same is the case for countries like USA, Canada, Australia, and the UK whose copyright laws disallow Torrents downloads that involve illegal sharing of copyrighted material. There are risks for downloading Torrents, thus you should be cautious while using Torrents to download Software and files, and these should be limited to free and non-copyrighted content. Are Torrents safe to use? According to Wikipedia, 'BitTorrent does not offer its users anonymity nor security', hence your IP address which can easily be tracked can make your system susceptible to attacks. But this is not final, as there are some that provide ways on how to bind VPN to Torrent Clients and you can also hide your IP address while accessing them. How To Protect Torrent Downloads? To ensure your computer is safe, you can download torrents using VPN services that will create a Virtual IP address or proxy server for your computer each time you access these sites. A VPN will not only hide your IP address by making it private, It will hide what you download from your ISP by encrypting all internet connections between your computer and the VPN server. If you're looking for an open source torrent downloader that comes does not have intrusive ads and annoying popups that may lead to malicious web pages, then you might want to try qBittorrent. This client is fast, comes with an inbuilt media player, UI password lock, and anonymous mode, and supports Android, iOS, Windows, Mac, and Linux Operating Systems. You can bind a VPN to qBittorrent which will prevent downloads when the VPN is not inactive, while on the other hand offering anonymity and security. What's more in this qBittorrent review? The User Interface is very simple with only functions that are a necessity for a Client and owing to this fact, it uses less CPU memory to work. It is also easy to use and navigate, as you can find easily find Torrents where you can download using its Labels, Tags, RSS reader, and Search engine. uTorrent managed by BiTtorrent Inc. is a popular free Torrent Client for Windows and Mac OS X computers. Unlike qBittorrent, you will have ads to deal and other external software with when it comes to this client, but you'll get to decide if this a good trade considering it features. It puts less load on the Processor since it doesn't require a whole lot of resources (about 6MB of RAM) to run. This Closed Source torrent downloader also provides its users with an RSS Feed subscription to automatically update them to the latest feeds in its Client for download and a search engine to easily locate files. You're not only limited to free Torrents download, you can upload and share your personal files and also schedule downloads and uploads of Torrents. Vuze is one of the best Torrent Client recommended on Reddit not only because it can bind downloads to VPN to enhance security, but it can do so much more. Vuze formerly known as Azureus Torrent Client comes in two variations which are the stripped-back Vuze Leap and fully fledged Vuze Plus. Either of these features a media player for HD videos and songs playback, an Antivirus for protection against a virus which is usually common in Torrents. They can download Torrents, burn files directly to a DVD, and give you suggestions based on Torrents you have already downloaded using a Swarm discoveries feature. This torrent downloader is not only limited to Computers running Windows, Mac, and Linux OS but for Android phones with capabilities to access its features and control its desktop torrent downloads. You can expect bandwidth limiting, an inbuilt web browser, iTunes integration, IP filtering, bind Vuze to your VPN adapter, automatic hibernating, Shutdown, and running of downloaded programs on your PC. The downside to this Client is that it not an open source client, and it comes with apps and requires a lot of memory to run. Another free Torrent downloader for Windows and Mac OS X is BitLord. Why does it make this list even though is OS support is limited? BitLord Torrent Client comes inbuilt with its own search engine to allow you scan through its pages for files you may like. If you're not an advocate of Intrusive Ads on your computer, you will find this Client a worthy companion for downloading and streaming files online. You can also set up a Password protection of this program to ensure unauthorized users do not have access to your desktop client as well as subscribe to its RSS Feeds to stay updated to new Torrent releases. Before Installing this Software, you might do well to temporarily disable your Antivirus because it'll tend to send warnings and notifications about unwanted programs and even go as far as deleting of the program's files. Deluge as a free Torrent downloader software is just as good when its downloads and file sharing speed are considered. It is one of the fastest Torrent Client out there and it is available in a Standard Mode and ThinClient mode called Deluge Daemon. This Client can be run on Windows, Unix, FreeBSD, and Linux Operating Systems and allows for local peer discovery (LSD), setting per-torrent and global bandwidth limits, and support for magnet links. It comes with third-party plugins such as scheduler, email notifier, streaming while downloading, stats, and auto RSS downloader that will help you customize the Client to the best way you can. Movement of files to directories, create graphs, schedule and batch-name downloads, merge with Google Chrome and Mozilla Firefox, and adjust download/upload speeds and encryption. You don't have to worry about how its tasks will be handled and its effect on your CPU since its very light and puts a little load on the Processor. We hope to have answered your question to, 'What is the best free Torrenting program?' as these are the best Torrent client on Reddit for Windows, Mac, Android, and Linux Operating Systems. You can try one or more to see which works best for you.